Why is GOLFimals Called GOLFimals? GOLFimals is a brand-new app developed by Kevin Fung that aims to inject even more competition and excitement out on the links. The app is a golf wagering game that uses animals, both digital and magnetic, to either reward or penalize golfers based on how well they’re swinging out on the golf course. The rules are pretty simple. If at the end of your first hole, you’re the player with the lowest number of strokes, you’re awarded a lion and -1 point to your total GOLFimals score, which is independent of your overall golf score. Then, if you have a bit of trouble on the next hole and whack your ball into a water hazard, you’ll be penalized with an alligator and +1 point. Like golf, the goal is to have the least amount of points at the end of the competition, so a +1 point might hinder your overall GOLFimals score. Not only will you collect these animals through the app, but you can also purchase a physical set, which magnetically attach to your golf cart’s strut bar to show off your skills or call out your opponent’s weaknesses. 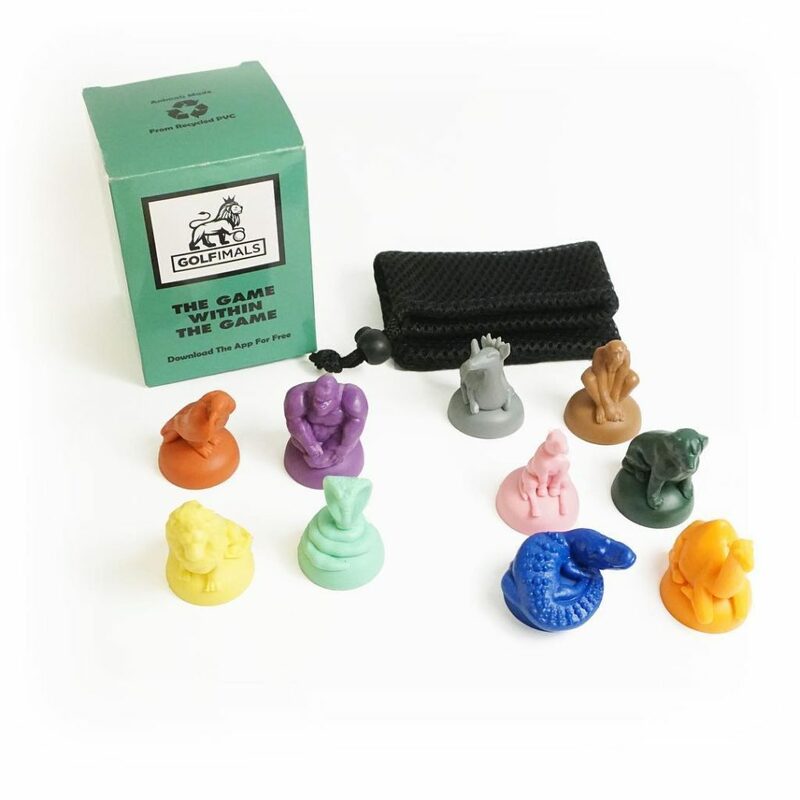 The animal collections come in a 4-piece pro animal set, which is stocked with a cobra, eagle, gorilla, and a lion, or the 6-piece classic set, with a donkey, deer, camel, alligator, and dog. You can purchase all 10 animals for only $39.95 through the GOLFimals’ website or on Amazon. The game is designed for 2 to 6 players, and at the end of your match, each player tallies up their GOLFimals points, and as mentioned, the golfer with the least amount of points wins. 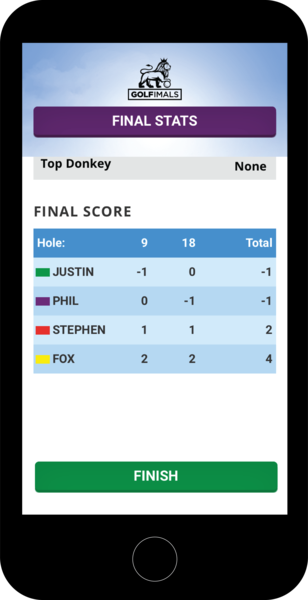 The app will help you keep track of your score and your animals, so the process of finding out who the GOLFimals champion is a cinch. Why is it called GOLFimals? The practical reason why GOLFimals chose the brand name stems from the company’s desire to secure a .com and have a unique domain. 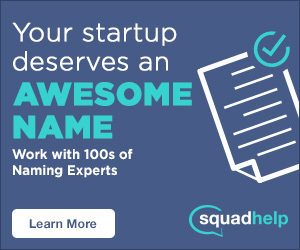 The team got together to brainstorm on how they could include variations of the three words in their brand name while also making sure the .com was available. Some of the variations they came up with for “animal” were “zoo,” “mammal,” “beast,” “creature,” and “brute.” For “game” they landed on “match,” “contest,” “tournament,” and “trophy.” Then they decided that because “golf” was the most prominent aspect of their game, they should keep it intact in the brand name. The lesson here is that some brand names take months to develop and others come out of nowhere, as if they were sitting around waiting for an industrious innovator to pluck them right out of the air. Here at Rewind & Capture, we think that whenever you have these potentially career-changing insights, it’s always a good idea to go with your inspiration. The latter is exactly what happened with GOLFimals, and the new tech company couldn’t be more delighted with their catchy moniker. So, whether you’re a life-long golfer, or just looking to spice up your weekend game, GOLFimals is a fun, creative, and inexpensive way to have a blast while working on your swing. Thanks for swinging by, can you think of any other companies who adopted a similar naming strategy ? Let us know in the comments below!